The release of peaceful activist Dr Tun Aung, jailed simply for trying to prevent communal violence, is a positive step, but authorities in Myanmar should also free the dozens of other prisoners of conscience still behind bars, Amnesty International said. Dr Tun Aung, a Muslim community leader and medical doctor, was released from prison yesterday. He was first jailed in 2012 after trying to calm the crowd during a riot involving Buddhists and Rohingya in Rakhine State, western Myanmar, and was sentenced to up to 17 years’ imprisonment under various trumped-up charges. “This is a very welcome move by the authorities and we are delighted that Dr Tun Aung is finally free and will be reunited with his family. His release will come as encouragement for all of those inside and outside the country who campaigned for his freedom,” said Rupert Abbott, Amnesty International’s Research Director for Southeast Asia and the Pacific. “There’s also a risk that Dr Tun Aung could be arrested and imprisoned again as he was only conditionally released. The Myanmar authorities should lift any restrictions on him and ensure that he is free to peacefully exercise his human rights without threat of arrest or criminalization”. Deadly communal violence between Rohingya and Buddhists in Myanmar erupted in the summer of 2012 and has continued sporadically since. But despite credible eyewitness reports of security forces being involved in the violence, or allowing it to happen, no state official has yet been held to account. “While Dr.Tun Aung has been languishing in prison, those responsible for the violence he was trying to stop have walked free. Authorities should be focusing their energies on holding to account perpetrators of human rights abuses – not jailing those trying to prevent them,” said Rupert Abbott. 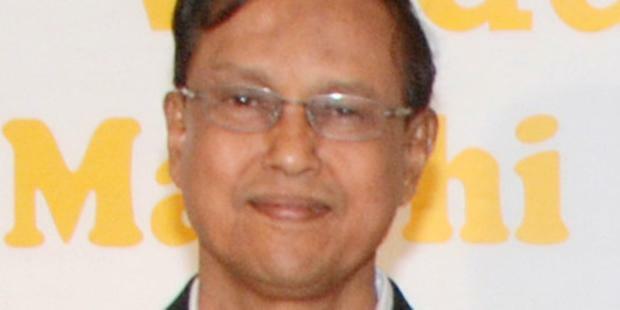 In October 2012 Amnesty International designated Dr Tun Aung a prisoner of conscience. The following year in December 2013, he was chosen as one of the focus cases of Amnesty International’s annual “Letter Writing Marathon” campaign, when millions of people around the world take action for individuals and communities whose human rights have been violated. According to a letter from Myanmar’s National Human Rights Commission, the letters they received from Amnesty International members prompted them to look further into Dr Tun Aung’s case.